The complete history of FC Barcelona explained from its very beginnings up to the present day. 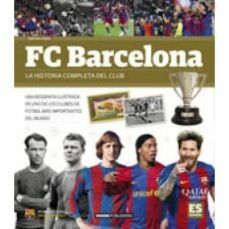 With more than 500 pictures, graphics and statistics, this book is an absolute essential for FC Barcelona supporters. An illustrated biography to get to know in greater detail the legendary football club.